Make every childs dream come true!!! You've tried the rest, now order from the BEST!!! Over the past years, educationalists emphasized the importance of physical activity and the development of a child’s mind and body. 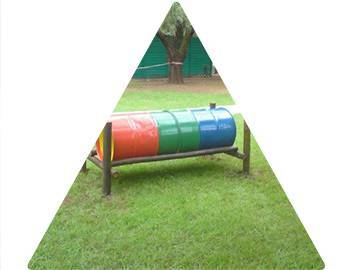 Through play-gyms, a child can explore their potentials and live out their fantasy world. BUDDIES PLAY-GYMS offers the ideal Unit for all the above mentioned and ensure lots of fun during these important developing years. Standard Units and Custom Built Units available. Wide range to suite all areas. All wood used is pre-treated with TANALITH and has the SABS stamp of approval and are sealed after installation. 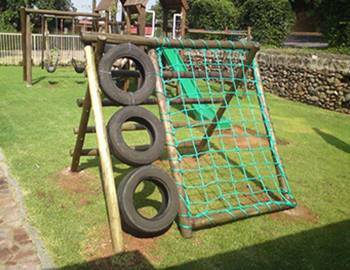 All care has been taken to make BUDDIES PLAYGYMS as safe as possible. 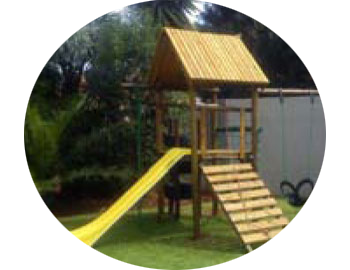 All prices quoted include installation within the JHB / Vereeniging/Pretoria areas. Installation outside the area mentioned will be subject to an additional charge.